While it is still possible to get pregnant after an endometrial ablation, there is an increased risk of complications from the start of your pregnancy until after delivery, including death. Endometrial ablations are not good options for women who have not yet decided to stop having babies. Pregnancy after an endometrial ablation is a problem of implantation, not a problem of ovulation or fertilization. After an endometrial ablation you can still get pregnant because your ovaries continue to function normally. An early embryo has a decreased chance of implanting in the uterus after an endometrial ablation because the procedure destroys (ablates) the endometrium, the inner lining of the uterus. After the ablation, the lining is absent, or too thin or scarred to respond normally to your ovarian hormones, estrogen and progesterone, that prepares it for a pregnancy. If the embryo manages to implant, the implantation is likely to be abnormal and this leads to problems with the pregnancy. The chance that the embryo will implant is low, but possible. According to a review article in the French Journal of Gynecology Obstetrics and Biology of Reproduction the chance of pregnancy (implantation) after endometrial ablation is between 0.7 and 2.4%. Do not try to get pregnant after an endometrial ablation. Though the chance of pregnancy implantation is low, you have a chance of significant risks and complications if you conceive and the embryo succeeds in implanting in your uterus. The most serious complications of abnormal implantation include severe hemorrhage from your uterus and death. Because of these risks, if you want to get pregnant in the future you should not have an endometrial ablation. This is an important point to discuss with your own doctor. Be on the alert for early warning signs of pregnancy such as irregular vaginal bleeding or pelvic pain. See your doctor for an early - and repeat - blood pregnancy tests to see how well the embryo is growing. Keep all your doctors and testing appointments to follow your pregnancy closely. If you miscarry or deliver at home, call your doctor or go to the hospital quickly because of the risk of heavy bleeding and retained placenta. Bleeding complications can happen during labor and delivery and after the baby is born. The ablation is usually done while looking in the uterine cavity, either by hysteroscopy or by ultrasound guidance. The procedure is safe and can be done in your doctor's office or in the operating room. Endometrial ablation treats recurrent heavy bleeding or prolonged bleeding from the endometrium (menorrhagia). The procedure is usually suggested after nonsurgical methods, such as hormone treatment failing to decrease or stop the abnormal bleeding. Before any treatment of abnormal uterine bleeding you will have a complete evaluation to rule out cancer, infection, or any other problems in your uterus that might be the cause of the bleeding. The procedure can delay or prevent a more complicated surgery such as a hysterectomy. Uterine ablation and pregnancy do not mix well. 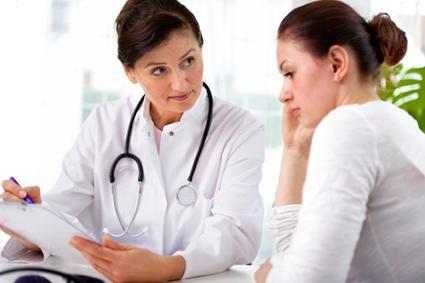 If you don't want to get pregnant, or you have completed your childbearing, you should strongly consider sterilization at the time of endometrial ablation. If sterilization is not an option, choose an effective form of birth control such as a hormonal IUD or other hormonal contraception. Because of the possible risks and complications from pregnancy after endometrial ablation, don't try to get pregnant after the procedure. If you want to be pregnant in the future you should not have an endometrial ablation. Be sure to discuss all pregnancy aspects with your doctor, including options for birth control, before you have the procedure.